How Do You Find A Good Real Estate Agent? 1. Listen – While a good real estate agent should be listening to you, you should also listen to your agent. Do they want to tell you what a great agent they are? Do they try to wow you with a lot of facts and figures? Does they “inflate” the conversation in hopes that you will choose them? Are they straight up with you, telling you what you can expect, good or bad? Are they willing to show you where they get data, figures and how they assess those values? Or do they tell you what you want to hear? You need someone that is not full of hype themselves, someone for which you can have trust and confidence. 2. Choose a Firm – Many agents work for large or national firms. This has both advantages and disadvantages. National firms advertise their “name” and are well known. However, they carry a price such as franchise fee’s, desk fee’s, printer fee’s and more for each agent. Agents must pay these fee’s to the firms to continue to work there. However, with membership in the regional MLS and local Board of Realtors all agencies, national or not, will have the same information on homes for sale. Your local “generic” firms can often serve you just as well, if not better. In fact, experienced brokers may choose to work for local firms recognizing their value. 3. Form a Relationship – The agent is going to be handling some confidential matters for you. Make sure you understand your agents “fiduciary” responsibility to you, the client. The agent must be someone for which you can have complete confidence. After all, there responsibility is to help you make the best deal possible and to protect your bargaining power. However, if you’re not willing to sign an agreement with an agent to represent you, they no longer have that fiduciary responsibility. So be careful how much information you divulge to an agent before you have an agreement in writing. 4. Web Savvy – Does your agent have a presence on the internet? Just do a simple search on their name and see what comes up. There should be blogs, articles and more so you can see how your agent is connected with real estate on the web. If you can’t find your agent or what they’re up to, how is it that others will find them? Understanding the web and social marketing and content is a large part of an active agents responsibilities. 5. Videos/Photo’s – If you’re selling your home, does your agent understand the need for videos? Do they know how to put them together? Does your agent have any samples of videos that they can show you? Follow this link to see one of the properties I have done: Mountain Home for Sale Photo’s are just as important. These are a large part of marketing, which brings us to our next tip. 6. Marketing – All agencies and firms do marketing, but does your agent have any marketing experience himself or do they rely upon the agency to do all the marketing for them. In other words, how much control does your agent have in marketing and social media, and what will they be doing to market the sell of your property. For the buyer, do they understand the difference in “hype” so as to make you aware of any buzz words that are used as enticements. 7. Find a “Local” Agent – Many agents will move into an area that has been doing well, preying upon the good fortune of that market. However, such agents may know little about the area, background, culture, history, ordinances, etc. This information can prove invaluable to a buyer. Also, if you’re a buyer, you may want to use caution in working with an agent that is teamed with a builder or development. Such agents could be encouraging you to buy in behalf of the builder/developer. 8. Understand Commissions – Many buyers will begin a search, thinking if they find it themselves they will save money. Truth is, in NC, it is typically the seller that pays the commission. In other words, the buyer benefits greatly by having an agent represent them. There should be no cost to the buyer and the buyers agent will assist in finding the best deals, do the research, preview properties and choose the ones that best fit the your needs. This can save the buyer valuable time at no cost. As for the seller, their commissions pay for advertising and other marketing expenses, answering phone calls, scheduling appointments and open houses, returning emails and other inquiries, showing the property, gathering required documents, the cost of adding to MLS, and so much more. DON’T FORGET TO ADD YOUR COMMENTS AT THE BOTTOM OF THIS PAGE. In any circumstance, whether buying a home or selling a home, a good real estate agent is to your advantage. 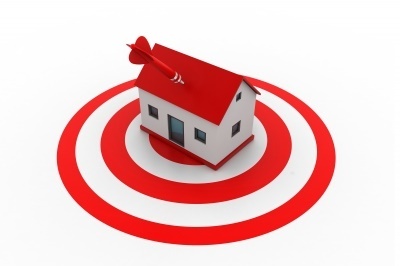 By using a few simple steps in finding a good real estate agent you will be on target to help you buy or sell your home. 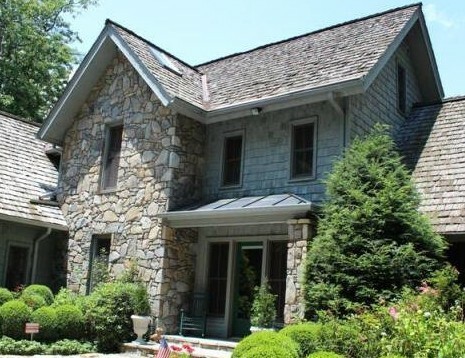 CONTACT YOUR TOP LISTING AGENT, use this form or call 828-506-0011. Excellent article, Rick! I’m glad that I stumbled upon your post because I’ve been thinking about hiring a real estate agent. I think you’re absolutely right: it’s important that you’re finding a real estate agent that listens to you. I haven’t considered choosing a real estate firm or group, but I’ll look into that suggestion. Thanks for the great tips! I think what you said about forming a relationship of trust is really important. This person essentially has your financial life in their hands for a little while and if they do not have the motivation to help you out, then it will not be as productive as it could be. Thankfully, it is easier than ever to connect with realtors and for you two to work together towards a common goal. Thanks so much for the great reminders! It really is important to make sure you choose a real estate agent with good marketing skills. As the article points out, you need to find out how much influence they have in online media. After all, you’ll need them to advertise your home if you want to sell it.